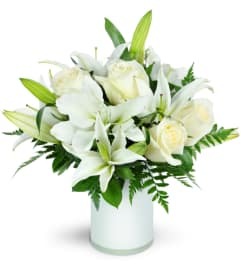 Remembering a distinctive and elegantly lived life evokes the timelessness of our Elegant Memories Spray. 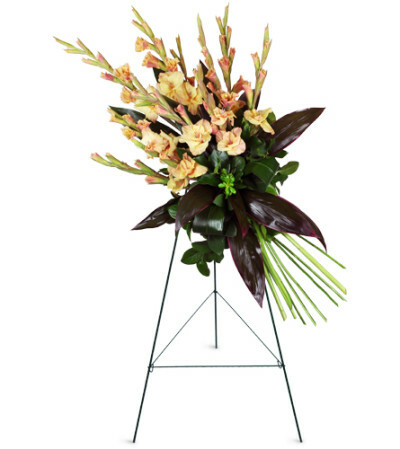 Gorgeous peach gladiolus and aspidistra leaves are perfectly poised as an expression of your sympathy that is sure to comfort and please the most discerning amongst us. 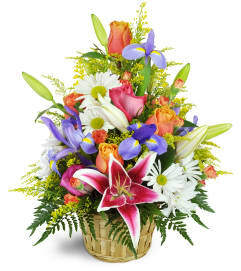 When words simply aren't enough, let this stunning floral gift convey your true feelings. 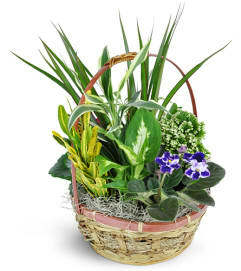 Long stemmed peach gladiolus and dark green contrasting aspidistra leaves are arranged in a perfectly balanced sympathy spray, ideal for delivery to the service or wake.